In 2015, Dr. Evans founded City Pets Animal Care, LLC. Her vision for this brand new, innovative animal hospital and veterinary practice is crystal clear. City Pets is devoted to being the premier veterinary care practice in Middle Tennessee. The practice will offer cutting edge diagnostics and innovative treatments such as vaccine titer tests, cryosurgery, cold laser therapy, acupuncture, digital radiography, dental x-ray, in-house laboratory capabilities, advanced pain control, hospice and house calls for disabled pets and owners. City Pets Animal Care places patient care, employee fulfillment and client satisfaction at the top of its priorities. City Pets Animal Care is located at 1016 Jefferson Street, Nashville, TN 37208 and plans to open Summer 2016. 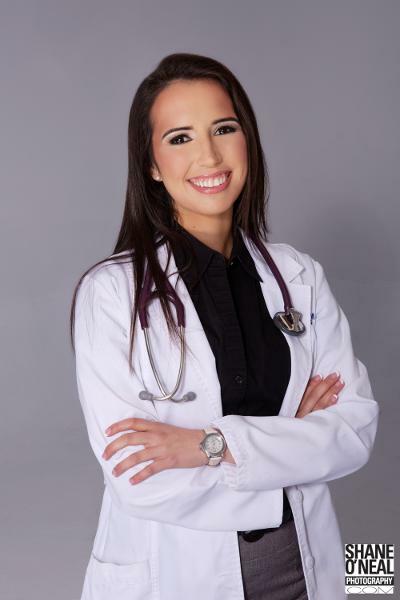 Dr. Eva Evans attended The University of Tennessee and graduated from the College of Veterinary Medicine in 2012 and received her MBA from The University of Maryland in 2015. Dr. Evans spent two years in Las Vegas, Nevada where she worked at a small animal private practice. In 2014, Dr. Evans moved back to Nashville, Tennessee and focused on Emergency medicine at an after-hours practice. In addition to private practice, Dr. Evans is a contributing author for Pets Best Insurance. She writes educational articles on everything from pet travel tips to choosing the best diet for your pet. Dr. Evans is a member of the American Veterinary Medical Foundation, the American Veterinary Medical Association, and the Tennessee Veterinary Medical Association. As an AVMA member, Dr. Evans enjoys being involved in organized veterinary medicine and she is currently serving as Chairwoman on the Political Action Committee Board. AVMAPAC's mission is to provide financial support to selected candidates who are seeking election to the U.S. Congress. Funds raised by AVMAPAC to support these candidates come from contributions to the AVMAPAC from AVMA members, members of their families, and AVMA employees. Dr. Evans also serves on the Scholarship and Awards Committee with the AVMF evaluating scholarship applications from veterinary students. she enjoys interacting with students and mentoring. Additionally, Dr. Evans is a member of the Women's Veterinary Leadership Development Initiative where she helps encourage and recruit female veterinarians into leadership positions. In her spare time, Dr. Evans enjoys gardening, traveling, yoga, reading and playing with her Boston Terriers. She is an avid runner, and has completed several half marathons and one full marathon, and is currently training for the Rock 'N' Roll Country Music Half-Marathon in her hometown of Nashville, Tennessee this upcoming April.